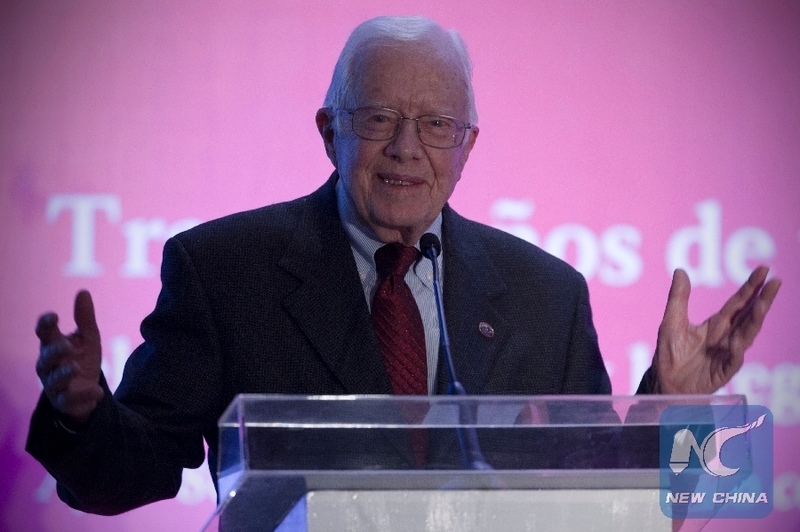 WASHINGTON, Jan. 1 (Xinhua) -- Former U.S. President Jimmy Carter said on Monday that China and the United States need to build their futures together, for themselves and for humanity at large. "China's spectacular economic growth, in conjunction with its continuing integration with the much larger U.S. economy, has enabled the two countries to become engines of global prosperity," Carter added. Carter served as the 39th U.S. president from 1977-1981.